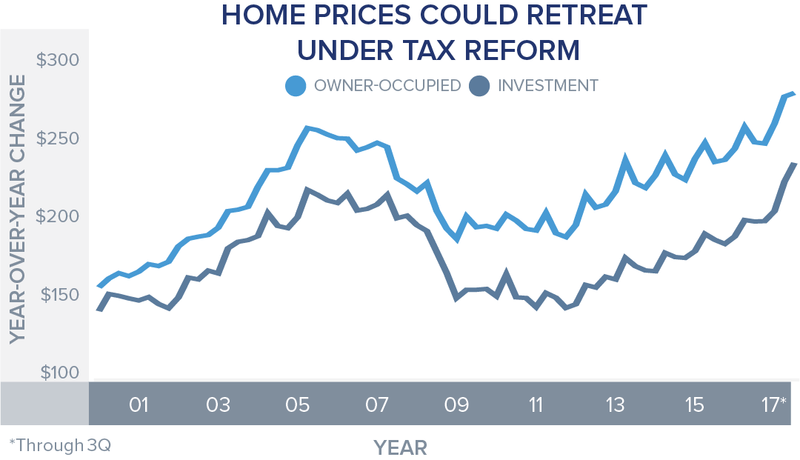 The new Republican tax plan could benefit the real estate investment market. Doubling the standard deduction will reduce the number of homeowners willing to itemize their tax returns. Furthermore, plans to cap the mortgage interest deduction at $500,000 will place pressure on prices in many high-priced areas. Current homeowners are grandfathered into the old system, which will add even more pressure on transaction volume, particularly in California where Proposition 13 already disincentivizes home sales. As a result, a large portion of the country’s wealth will be locked out of those local housing markets. As the stock market hovers around all-time highs and the current expansionary period approaches the post-war peak, investors are seeking to diversify their portfolios. Bonds have become an unattractive option. Former Fed Chairman Alan Greenspan hinted at a bond bubble as recently as August, which could keep investors away from bonds. The risk-free rate, or 10-year Treasury, has been trending below 2 percent since December of 2013. Low yields are not offering investors an attractive option above inflation, thus encouraging investors to consider real estate. 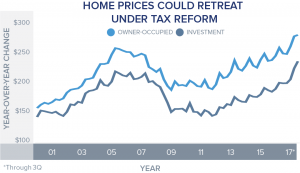 Download a full copy of the Tax Implications on Real Estate Report today. 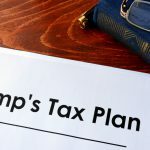 How Does the Trump Tax Plan Impact Investment Real Estate?